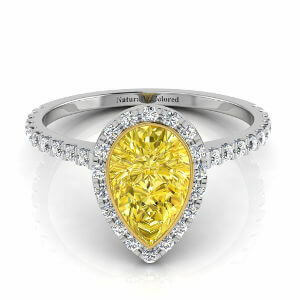 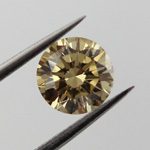 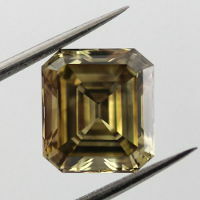 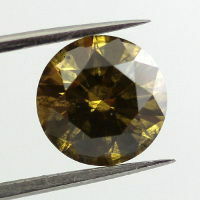 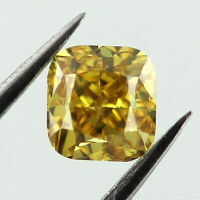 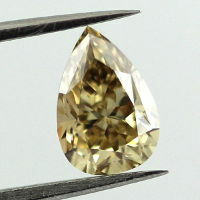 Yellow Diamonds are the most desired colored diamonds. 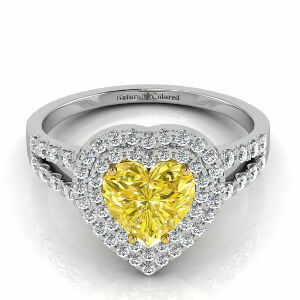 They are fashionable, warm, cheerful and will literally light up the room. 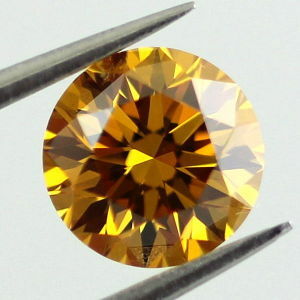 They come in a variety of colors, from the warm brown yellow to the fire like orangy yellow. 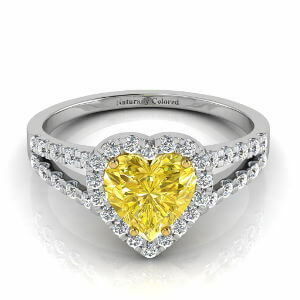 All that is left is to choose! 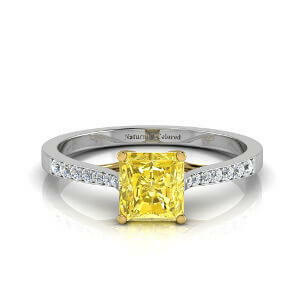 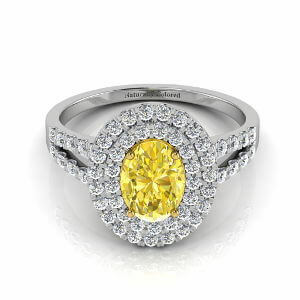 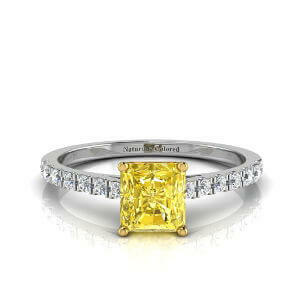 A one stop shop for everything you need to know before buying your canary yellow diamond. 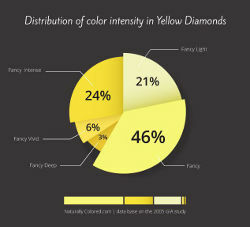 Understand about the different colors, what sets the price and how to use it to your advantage. 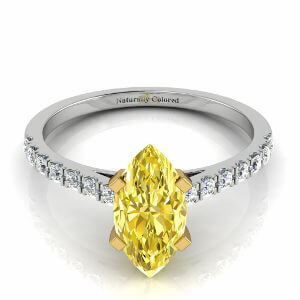 Now that we have established in the above guide how yellow diamonds are priced, the differences between yellow and canary diamonds, the meaning of fluorescence in canaries and much much more. Basically, everything that you need to know in order to buy a yellow diamond - what is left is to make sure that you are also not making any mistakes. 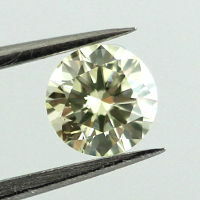 This guide puts the magnifying glass on the things to beware of. 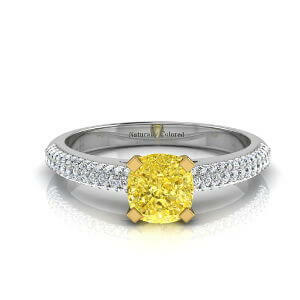 Why some engagement rings cost MUCH more than others? 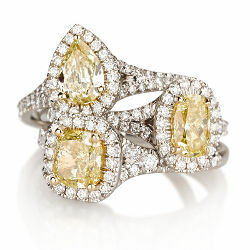 How to save money on the ring by using smart setting? 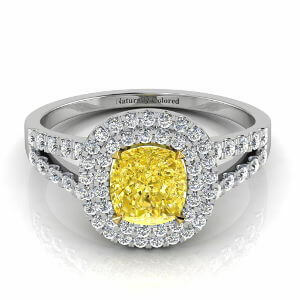 How yellow diamond engagement rings different than regular classic rings?